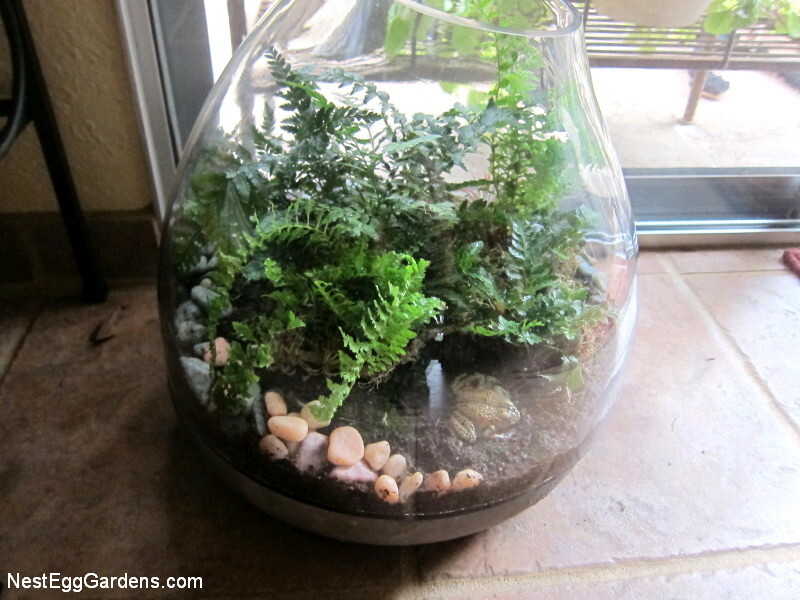 Recently, I accepted the challenge of planting a terrarium for another member of AHA… and I just love the container! 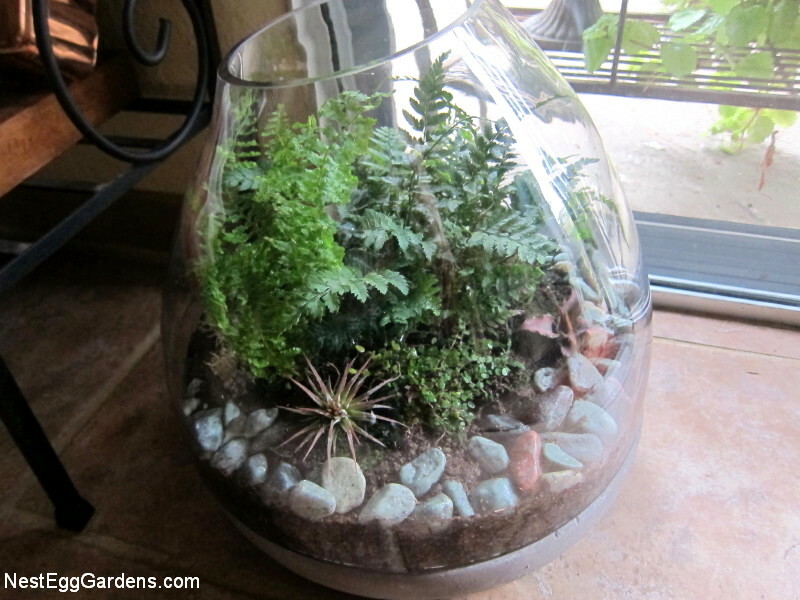 With the recessed area in the middle of the stone-like pottery base, it’s obviously made to be a terrarium. Great design – it’s stable and will not tip over. 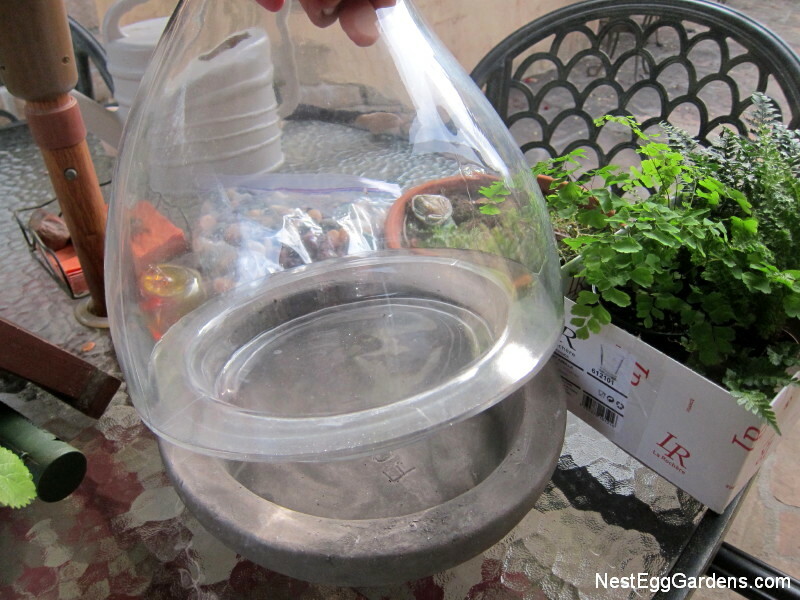 So this is how it came together… First I filled up the recessed area with 3/8 inch gravel mixed with some activated filter carbon (to filter the air and water). 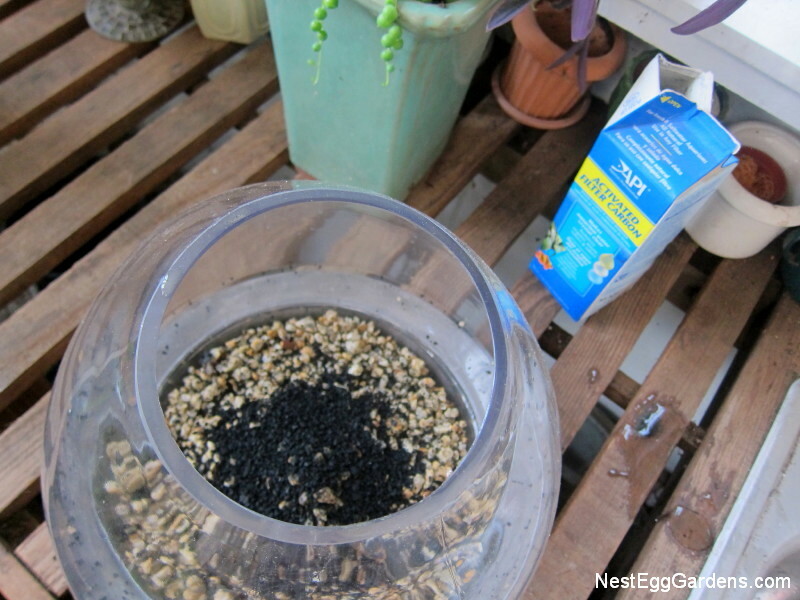 Then added a piece of fiberglass screen cut to fit, (or you could use moss), to keep the soil above the gravel. 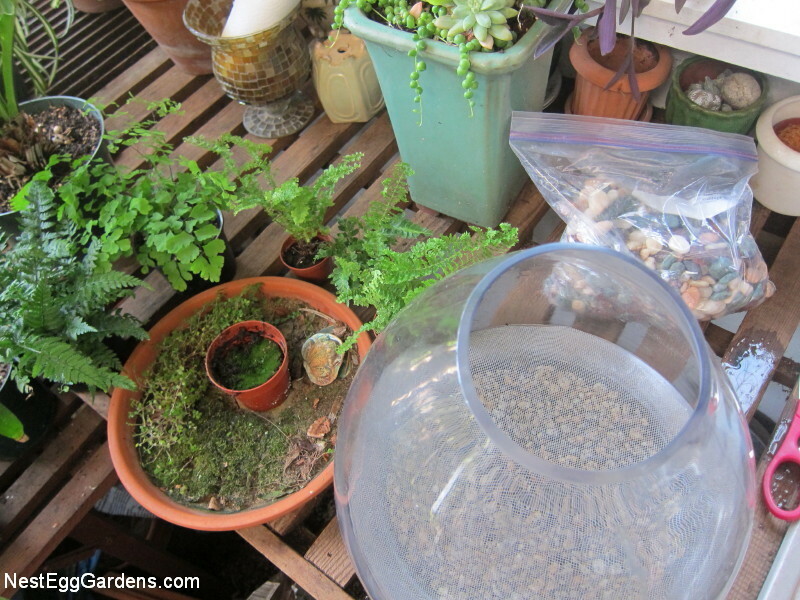 Gathered together some ferns, mosses, pretty rocks, and one of the ceramic frogs that our friend Marcella makes. 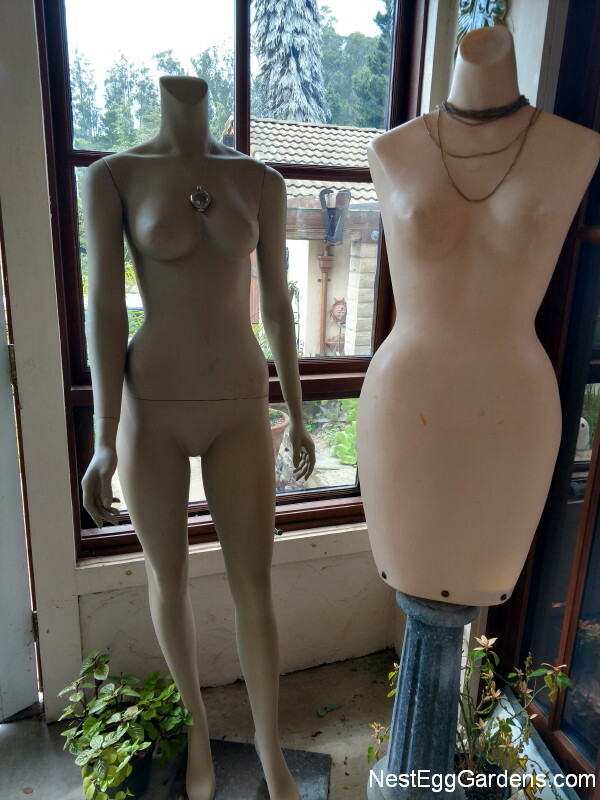 So perfect for this piece! 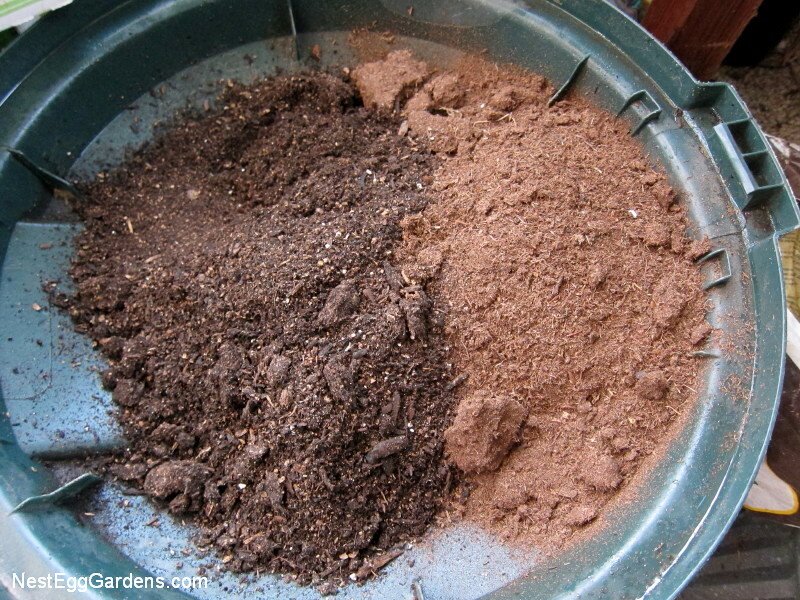 I mixed and moistened approximate equal parts peat moss and potting soil and shoveled in a few inches. Then carefully added the plants and arranged the rocks and frog. As an experiment, I added a small tillandsia (air plant) and bromeliad… just to see if they will thrive in this new little ecosystem. 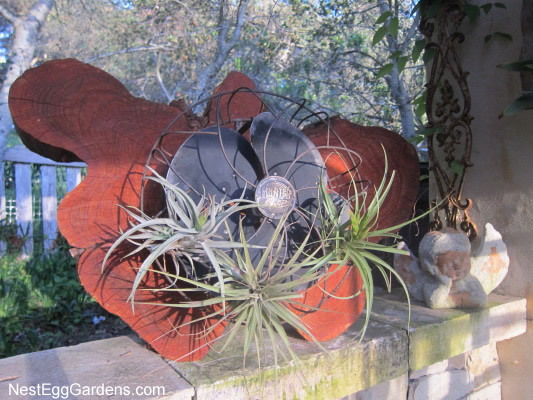 This entry was posted in Flora, Living Art, Projects, Tillandsias on December 6, 2015 by Shelly. Nest Egg Gardens made a splash on stage in Pivot: Art of Fashion last night. 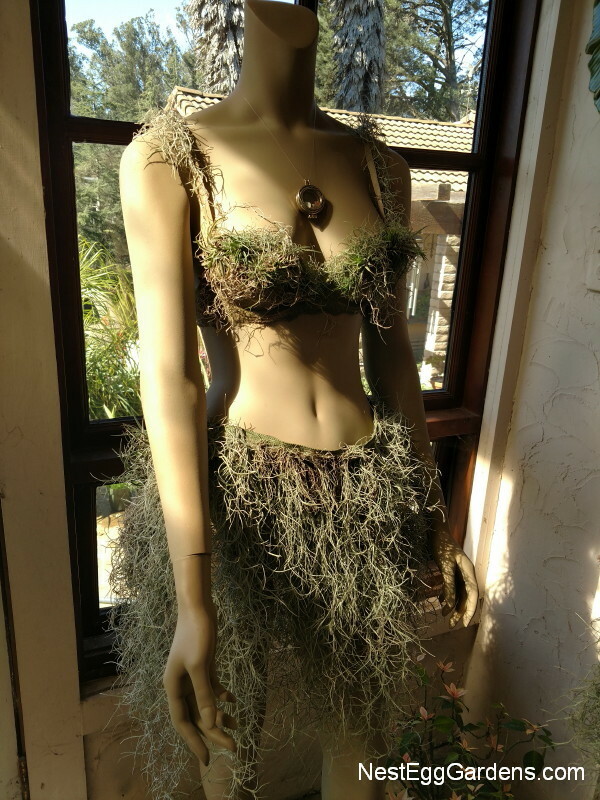 The model, Emma, looked beautiful wearing the outfit made out of living tillandsias (air plants). Male model, Coty, braved wearing the living briefs… and looked good doing it! Shelly joined them on stage as the ‘designer’ for the finale. What a great night! 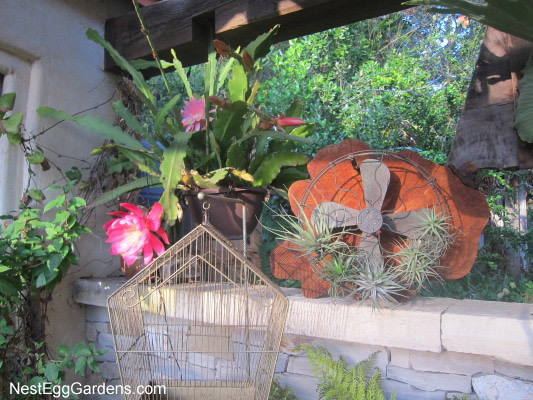 This entry was posted in Flora, Living Art, Tillandsias on December 5, 2015 by Shelly. Tillandsias (aka Air Plants) are epiphytes. 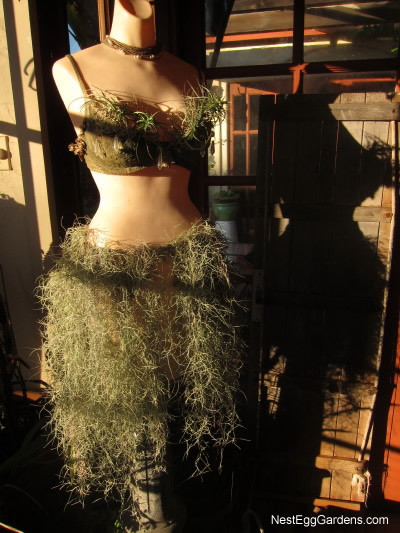 They grow without soil, attached to other plants and all kinds of things… including this outfit. Wearing living plants, now that’s green! 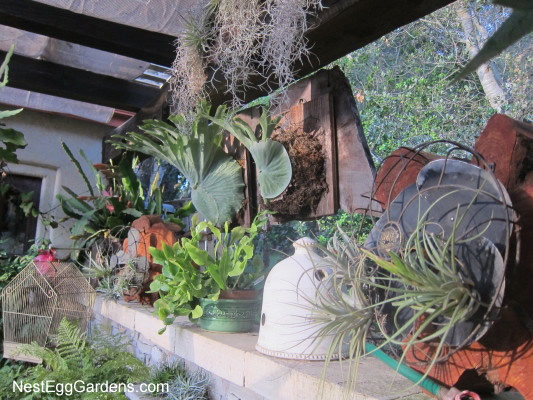 This entry was posted in Flora, Living Art, Tillandsias on January 16, 2015 by Shelly. 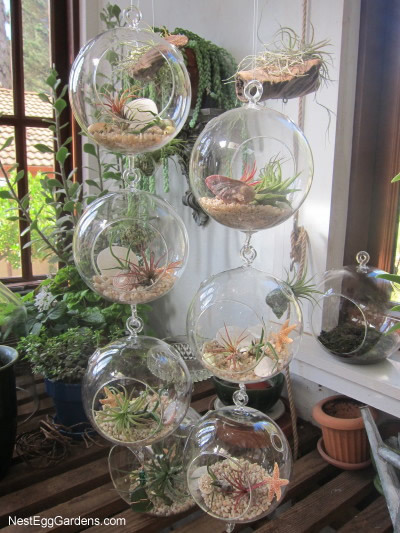 The tillandsias (aka air plants) look great with seashells in these glass globe hangers. 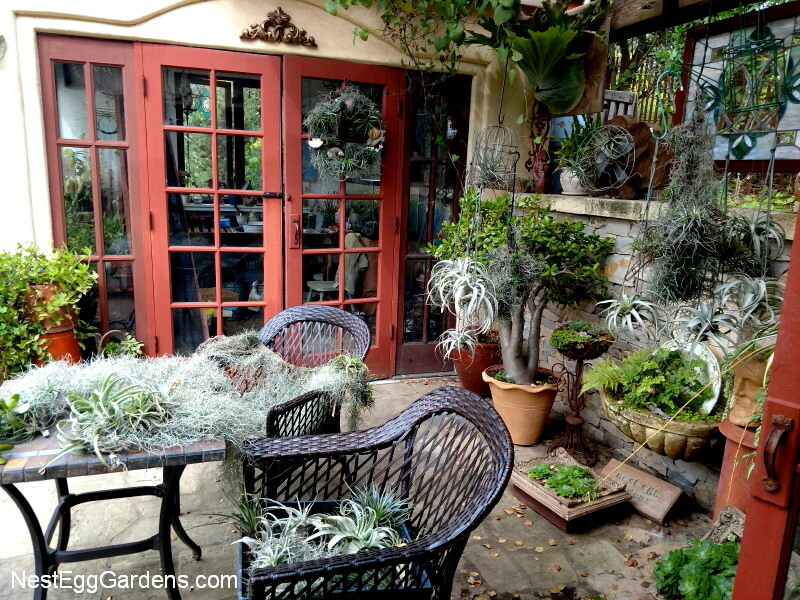 This entry was posted in Flora, Living Art, Tillandsias on October 25, 2014 by Shelly. Mounted a couple of salvaged fan blades onto wood slabs that needed a little ‘something’. They fit in nicely on the greenhouse courtyard in the shade. The intent was to mount staghorn ferns on the slabs. But the wire guards are perfect for holding tillandsias (air plants). Just in time for the first Epipyllum (orchid cactus) bloom of the season… just beautiful! 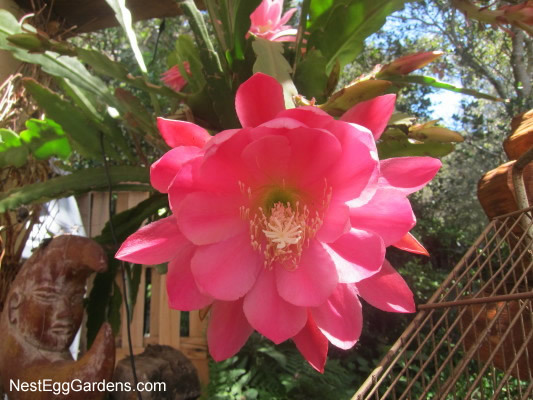 This entry was posted in Epiphyllum, Flora, Grounds, Living Art, Projects, Tillandsias on April 25, 2014 by Shelly.